Unique, all in one suite to completely protect, maintain and manage your PC! Every essential solution to manage today hard drives. Full range of backup, recovery and partitioning solutions. 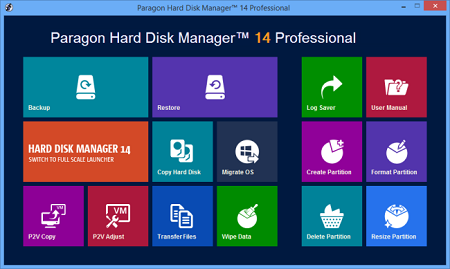 Fast migration to new HDDs, SSDs and virtual machines. Efficient disk maintenance and optimization. Windows 8.1 support.